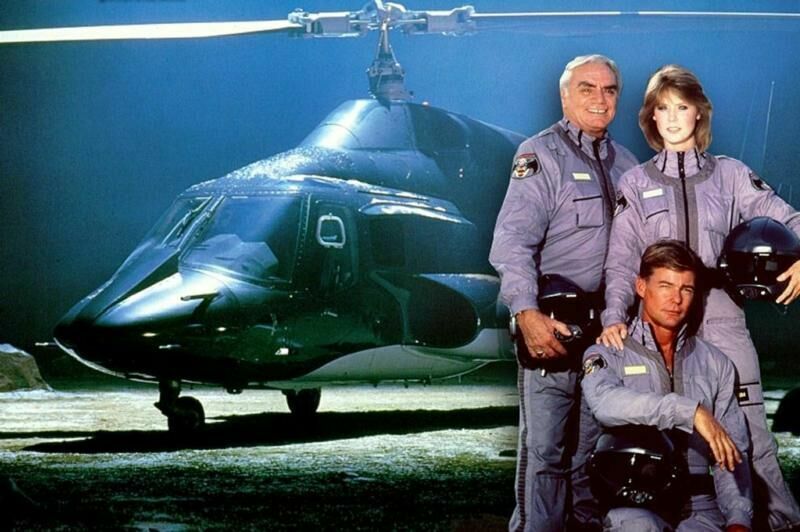 Airwolf (1985) – The Deadly Circle and Where Have All the Children Gone? 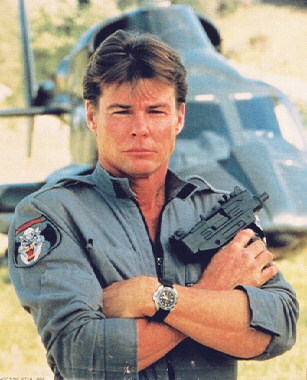 Stringfellow Hawke (Jan-Michael Vincent) gets himself into all manner of trouble in this week’s double installment. First up is The Deadly Circle, written by Robert Specht, with an original airdate of 30 November, 1985. Families of former comrades-in-arms are being grabbed by Vietnamese soldiers intent on extracting revenge for the destruction of their village and the death of their loved ones during the Vietnam War. Amongst them are Caitlin (Jean Bruce Scott) and Dominic Santini (Ernest Borgnine). Unable to find a connection between the families, String and Archangel (Alex Cord), finally come across the connecting thread.. They were all on the same mission that was a military mistake, what was thought to be an outpost was in fact an innocent village, and it was destroyed. To keep our hero’s conscience clean though, we learn that Hawke wasn’t actually on that mission though he was supposed to be. Meanwhile, Tran (Robert Ito) and Dao (George Cheung) are holding everyone in a compound as their plans for revenge begin to come to fruition. As the anniversary of the destruction of their village approaches, they plan to re-enact it, with their kidnapped hostages as the victims. Will Hawke be able to get the Lady to the compound in time to rescue everyone, or will they all die in a fiery act of vengeance? Up next is Where Have All the Children Gone? which was written by Al Martinez and Alan Godfrey, and it first screened on 14 December, 1985. After attending a funeral of a war buddy, String decides to take the flag from the casket, and the medal of honor, and deliver them to the man’s brother, Billy Fargo (Lewis Van Bergen). This mission entails them being trained, and when the moment comes, on a guided tour through a military facility, they seize control, and with the remote help of Billy, launch a remote drone F4, with nuclear payload. String, Dom and Caitlin must find a way to bring the drone, and the nuclear missiles it launches, down before it’s too late. I wonder how they’ll do that?? This one wasn’t my favorite, it felt like it was trying to marry a couple of ideas together, and pulling neither of them off very well.